A total of 160 countries has opted GST so far. India has the highest rate of GST at 18% compared to emerging market economies. India has two types of GST hence called as dual GST. Goods and service tax is taking India by the storm. GST will bring in “One nation one tax” to unite indirect taxes under one umbrella and facilitate Indian businesses to be globally competitive. The Indian GST case is structured for efficient tax collection, reduction in corruption, easy inter-state movement of goods etc. France was the first country to implement GST to reduce tax- evasion. 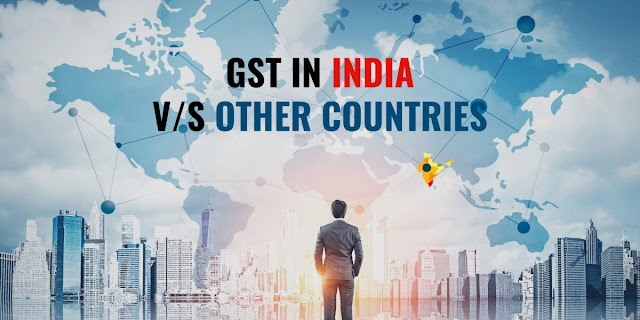 Since then, more than 140 countries have implemented GST with some countries having Dual-GST (e.g. Brazil, Canada etc.) model. India has chosen the Canadian model of dual GST. n India we do not follow an ideal VAT. In central, we follow central VAT. In the state, we follow state level VAT. Same is the case with GST. We do not follow ideal GST which all indirect taxes will be subsumed into one. We follow an Indian version of Goods and services tax called as all India goods and services tax. Central sales tax which the central imposed on the sale of goods from one state to another will continue in the different form called Integrated GST. One of the major difference between GST in India and GST in other countries is that in India, two types of GST is charged (dual GST).